Guys, I gotta tell you, I’m feeling so merry that I could burst. All the gift wrapping and carols and tinsel and Charlie Brown Christmas has got me feeling more festive than Mrs. Claus herself. I’ve eaten more peppermint bark and cookies than I can admit without a small amount of shame, but honestly, who cares? IT’S CHRISTMAS! If you haven’t gotten in the holiday spirit yet, just hang in there, because everyone is bound to catch the fever at some point. And if you’ve hit a mental block or dead end in your Christmas shopping already, keep reading because I have got some terrific tips for you! These past few weeks I’ve gotten a lot of questions from friends and followers about what type of tools an aspiring baker might need. There’s so much available in stores that sometimes it’s hard to pick out which items are necessary and reliable. 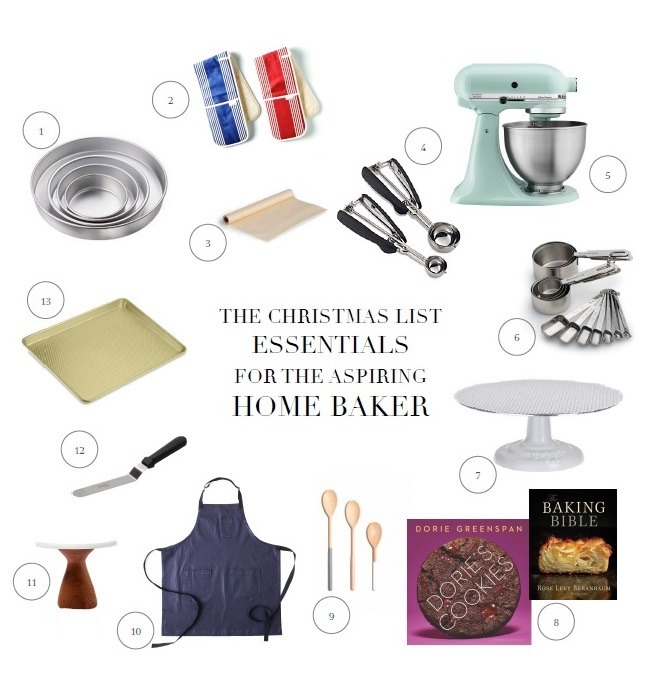 So I have compiled a Christmas list for you, or for the aspiring home bakers in your life, of tools and kitchen supplies that you can count on to get the job done. These are items and brands that I have in my home and rely on every week, and while not all are essential, they’re all super fun and useful. You can check out the links for these items at the bottom of this post! 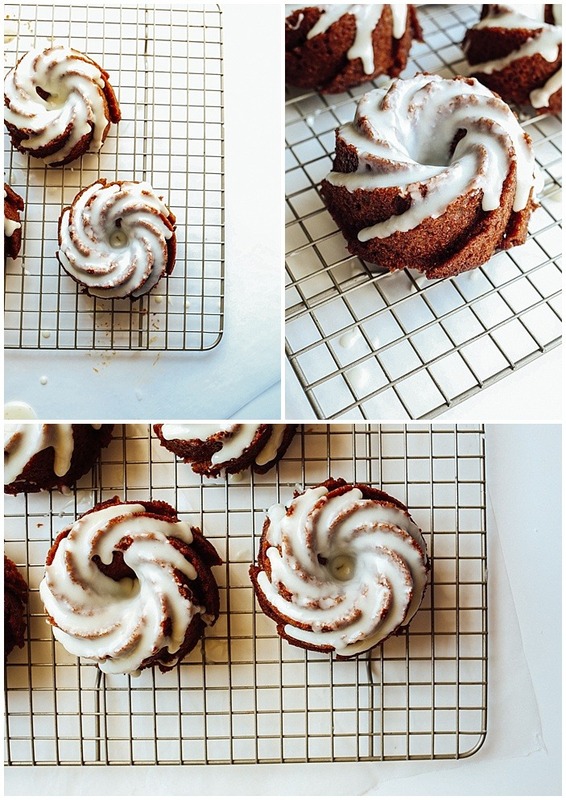 And if you haven’t maxed out your tolerable intake level of gingerbread and other holiday spiced foods, I have these little ginger molasses bundt cakes for you too! I had been looking for a ginger cake recipe for some time and finally found one from David Lebovitz that I was quite fond of. I wanted these cakes to have a more mild ginger flavor and not be so heavily spiced that people who weren’t as fond of ginger could enjoy them as well. I think these are spot on. These ginger molasses bundt cakes are fluffy and moist, with warm flavors of molasses and brown sugar throughout. I used jarred ginger to help keep the prep time for this recipe under 10 minutes, but fresh ginger would be a home run here too. If you prefer a more strongly ginger flavored cake, you can add up to two more tablespoons of ginger to give them an extra zesty boost. The cakes are topped with a white chocolate glaze that sweetens them up a bit and make them look like little snow topped mountains. (Insert heart eyes). 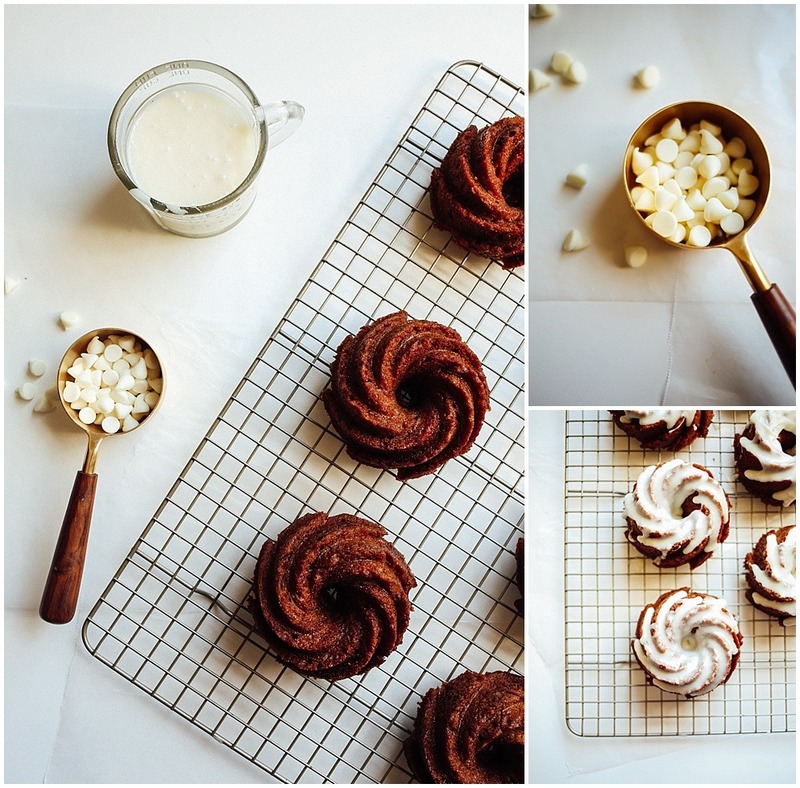 Because most people don’t have a mini bundt pan laying around, you can also make mini muffins or an 8″ cake out of this recipe. I personally prefer the mini muffins to a large cake, but who I am to tell you what to do? 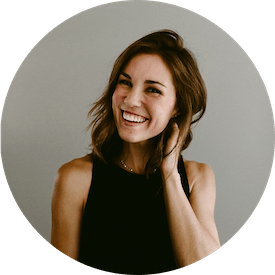 Stay tuned for more Christmas cheer from this gal over the next few weeks, and please give these ginger molasses cakes a shot! If you have any questions about the Christmas wish list, drop me a line below in the comments section and I will do my best to answer them. Cheers to all and to all a good night! 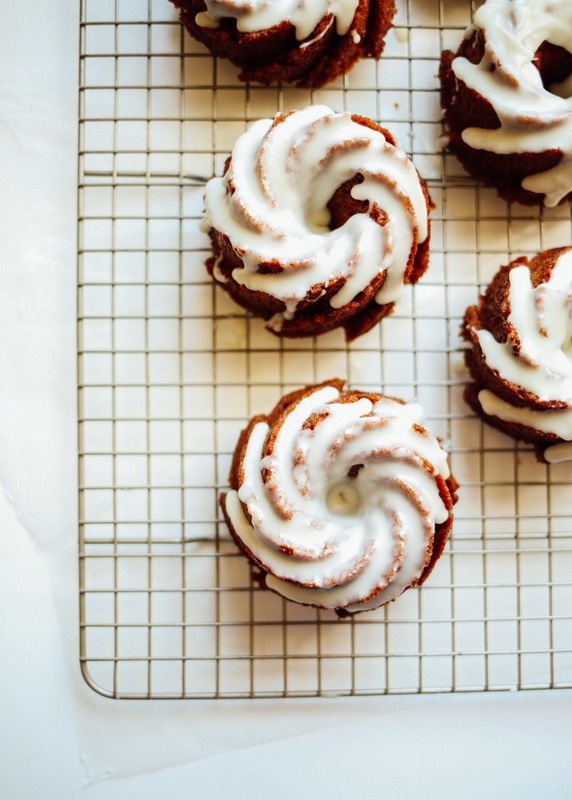 These ginger molasses bundt cakes and moist and fluffy cakes, fragrant from spicy ginger and cinnamon, and sweetened up by a white chocolate glaze. Combine the vanilla, ginger, molasses, sugars, and oil in a large bowl, stirring together until evenly mixed. Bring the water to a boil in a saucepan. Once boiling, carefully add the baking soda and stir to mix in. Add the baking soda and water mixture to the bowl with the sugars and stir to combine. Add in the dry ingredients and stir just until combined. Grease (I use baking spray with flour) a 6 cake mini bundt pan and evenly disperse the batter in each cake pan. Place in the preheated oven and bake until a toothpick inserted comes out clean, about 20 minutes. Allow to cool in the pan for about 20 minutes and then invert the cakes on to a cooling rack to continue cooling. Once the cakes are cooled, prepare the frosting. Over a double boiler set on low heat, melt the chocolate chips with the heavy cream. Do no let the water get too hot as this will cause the chocolate to seize up. Instead, allow the chocolate to begin melting and move on and off the heat as needed in order for the chips to just barely melt. Do not increase the heat above low or allow the bowl to get too hot. Once melted, allow the chocolate to cool slightly and then whisk in the sifted confectioner’s sugar. Stir until combined and the drizzle over the cooled cakes. If the frosting is too stiff, you can heat slightly in the microwave about 15 seconds or add additional heavy cream, 1 teaspoon at a time. Notes: I used minced ginger from a jar, but if you have fresh ginger on hand that would be lovely as well. This recipe can also be prepared in mini muffin tins. Adjust bake time to about 15 minutes. Recipe makes about 30 mini muffins or 1- 8″ cake. Traveling for work this week, but I am 100% making these Sunday when I get home! Also, after seeing you and Jessie (over on faring well) sharing recipes for mini bundts – I am so tempted to treat myself to a new baking tin. Eek . Tis the season, right?! 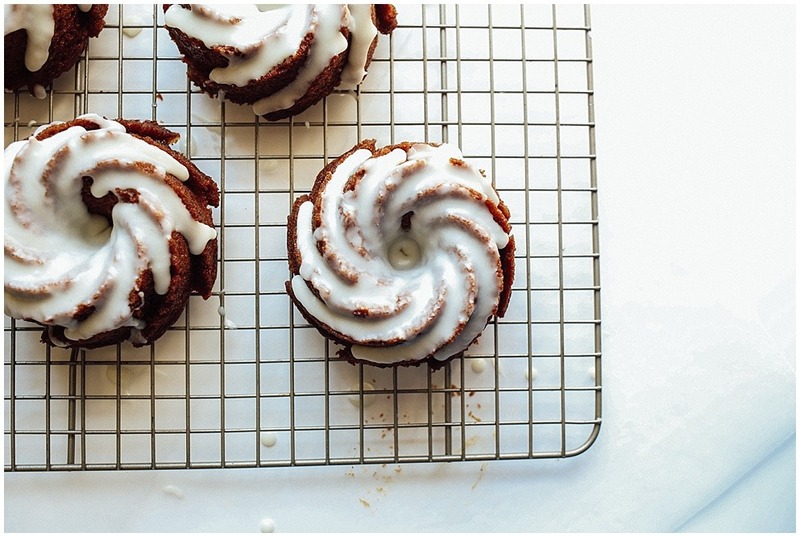 A baker like you deserves a mini bundt pan! This makes 6 fluffy little cakes so it’s perfect for one pan. I will say, those pans are NOT good for the dieting because you end up eating one of those whole cakes and it’s like eating 6 mini muffins…. whoops. 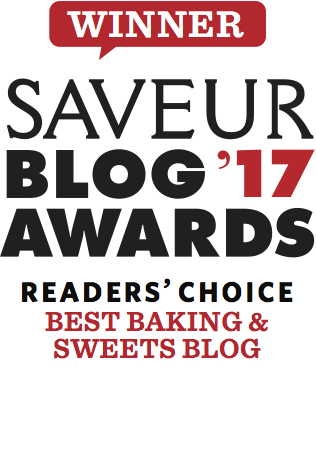 Great list to start off bakers! I like the picture graphic too.